How many times have you heard that paper is matter of the past? Obviously, this panorama is not so drastic. From time to time we want to have the pleasure to hold a good travel guide. Nevertheless, the Internet has become the first source of information for several years, especially among younger people (18-29 years old), according to a study by the Pew Research Center. And not only that, but this year the mobile has already surpassed the computer as the main device to access the Internet, according to data from the 16th edition of the report The Information Society in Spain. These figures show that it is necessary to have a presence in the online world and to be more than prepared for the responsive design, that is to say, no matter what device the user is using, our web or blog must be perfectly visualized. And what about the tourism industry? Netizens consult the Internet, not only to plan their trips, but also to discover the latest trends and fashionable destinations. For all those travelers, this information is just a click away. So make your hotel a touristic information source for your potential guests that will help you to be remembered. In this way, you will be taken into account when they are making the decision to travel to your destination and need to book a hotel stay. In addition, a blog will help you better position your website (and your booking engine). Thus, your potential customers will found you more easily. There are many blogs, so it is necessary that you take your content marketing strategy very seriously from the beginning. Your objective will be to stand out among the competition. This is what the next four hotel blogs have achieved. Take note! This hotel chain has managed to reach a wide audience. 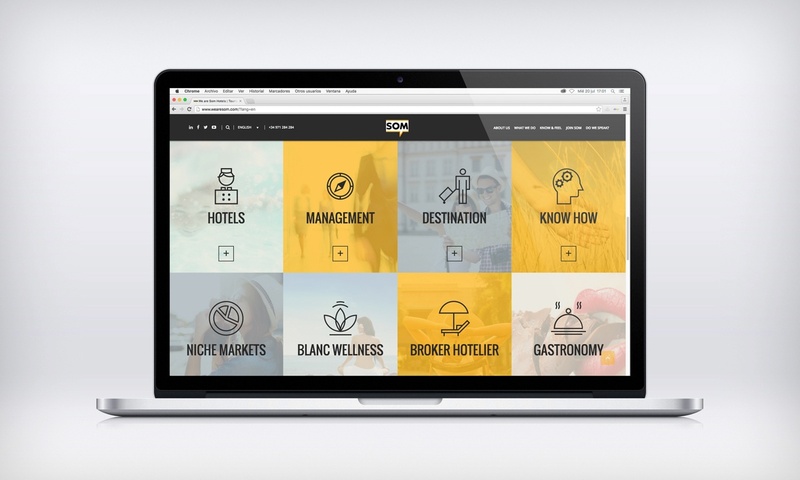 Presenting several topics according to the travel industry, NH Hotels reaches a very wide target thanks to the wide variety of interests and needs that are addressed in its publications. If you are a traveler with a pet or you are worried about going on a vacation with your children, you will find your tips and solutions post on the NH Hotels blog. If, on the other hand, you want to take advantage of the month of December to visit different Christmas markets, you will also find destinations and routes on their website. Destinations where to make a break with friends, a selection of the coldest, most beautiful villages, and more... NH Hotels knows how to position itself according to its audience searches. 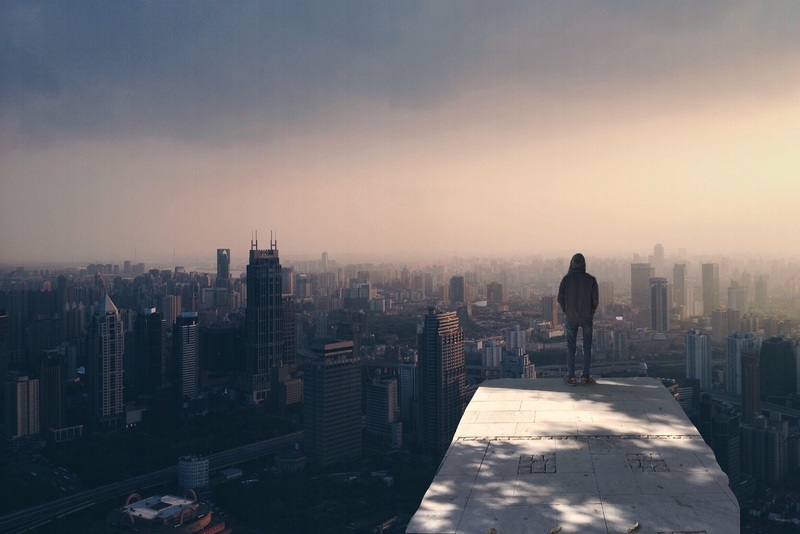 When dealing with such varied topics, this chain opens up to a much wider audience than, perhaps finds its blog on a search that has nothing to do with planning a trip at that very moment, but that will already stay on the user mind for future plans. Another characteristic to emphasize is how up-to-date NH Hotels’ posts are. They take advantage of certain festivity dates to attract a more specific audience to their blog. 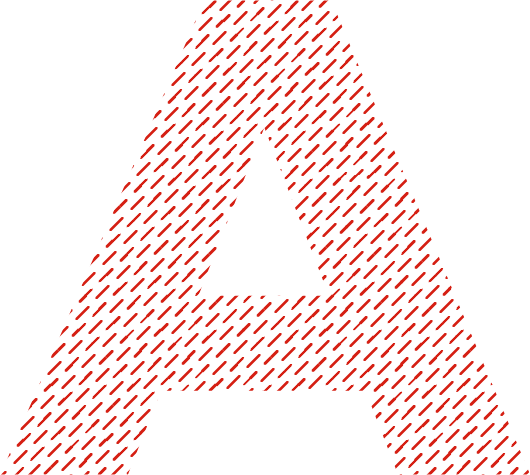 Fiestas del Pilar de Zaragoza, Oktoberfest or Open House Madrid are just some of these examples. They know that a few days before these events or parties, Internet users will search them on Google. That is why they decide to get ahead and position themselves by these keywords. Vincci Hotels, Travel. Live. Vincci. The Vincci Hoteles chain doesn’t hesitate when using its blog as a channel to show the advantages of staying in one of their hotels. Although a large part of their posts are related to the services of their hotels, they do dare to relate their offer to the demand that arises from different parties or outstanding events. 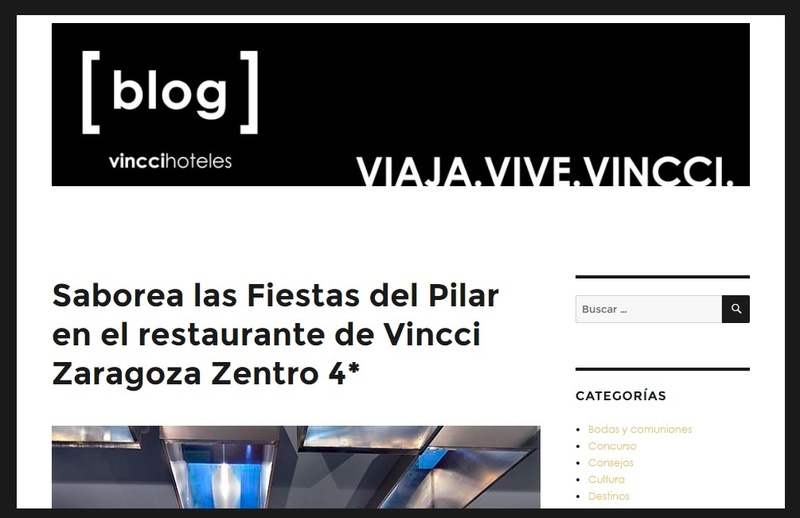 For example, a post titled 'Taste the Festivals of the Pillar in the restaurant of Vincci Zaragoza Zentro 4*' seeks at the same time to present its hotel in this city. 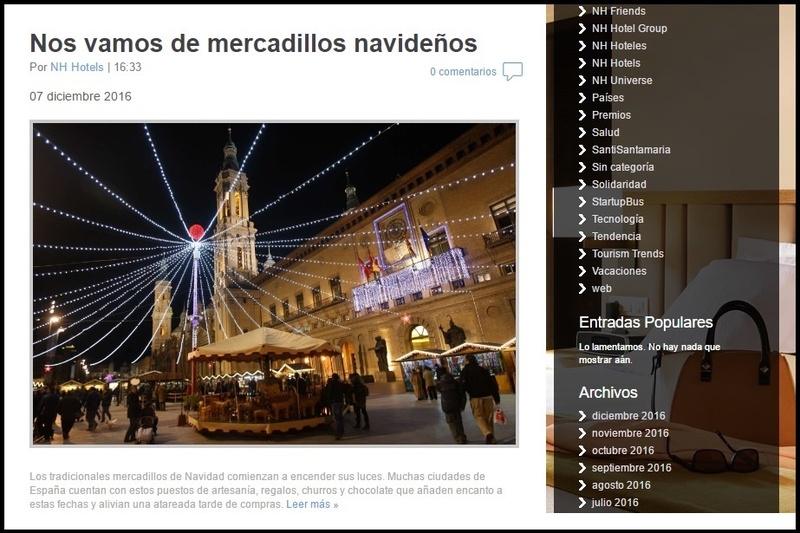 And it also looks for getting traffic of an audience that wishes to travel to Zaragoza during its emblematic celebrations or just to go out to dine at a special place that day. They also take advantage of their blog to attract participants in their contests or to address more general issues, which are somehow related to the tourism world. In short, Vincci Hotels highlights its virtues and achievements, but at the same time works keywords and topics that attract a wider audience who, upon arriving at their page, will already be tempted to stay in Vincci Hoteles. 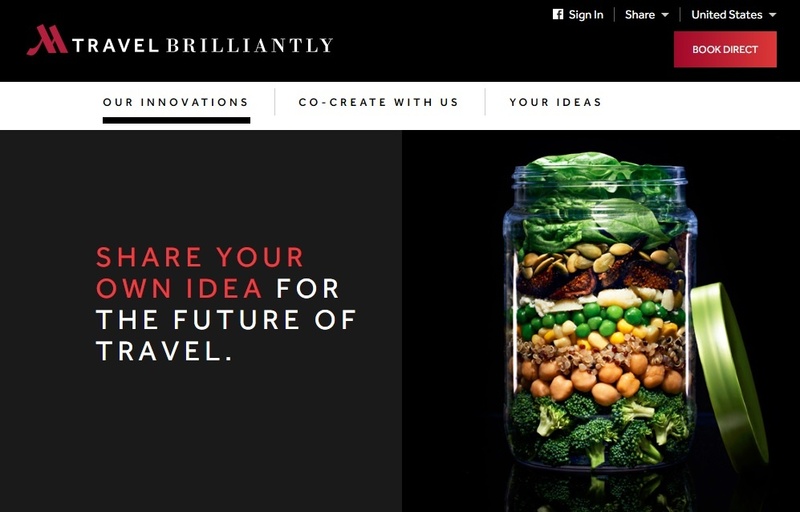 Marriott blog title already makes us imagine how will be our experience when navigating their page: 'Travel Brilliantly'. The Marriott chain blog is pure innovation and pictures. With great audiovisual content, Marriott wants to reach its potential customers in a very special and distinguished way. In addition, it makes its readers participate in the section 'Your ideas'. Marriott seeks to inspire guests. As highlighted in the blog home, Marriott seeks to change the future of travel: 'We're changing the future of travel.' How? Through innovation. Its posts introduce phrases like 'It's like having the concierge in your pocket' or 'Marriott's first-ever virtual travel experience'. 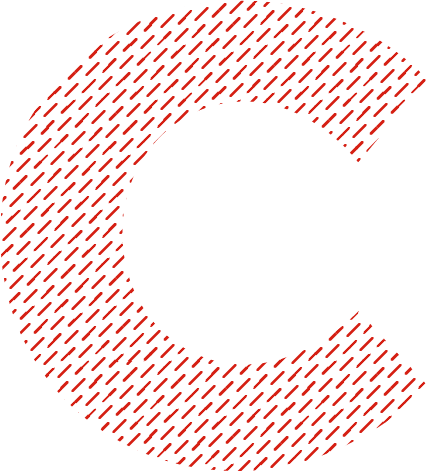 Both its content and its pictures and videos clarify what the objective and the main theme of the blog is: innovation in the tourism sector. And yes they can! The Meliá hotel chain is undoubtedly one of the most internationalized. Therefore, it is not a surprise that they have specialized blogs in their different destinations. Today we want to highlight the Meliá Cuba blog. Full of color and impressive pictures, this blog is a real guide for those who are planning to travel to this country. 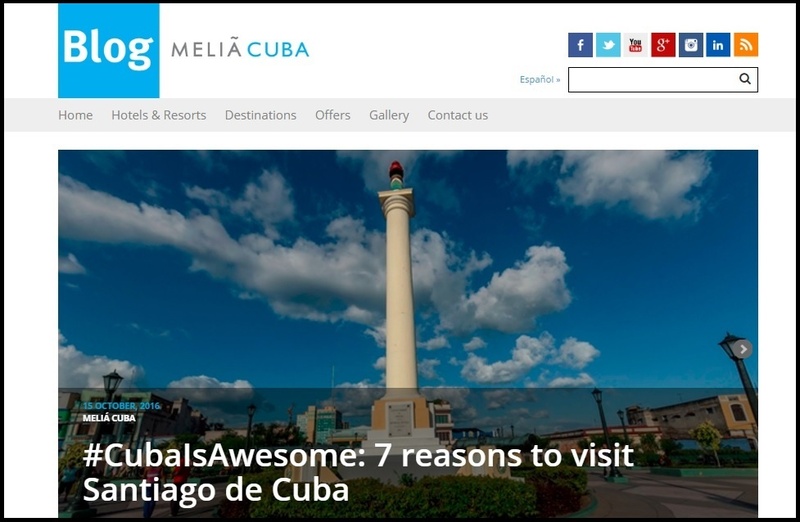 In the Meliá Cuba blog you can find posts about routes and the best Cuban cities to visit. And what’s more, your can learn about tips and advice when planning your trip there, which is a highly requested content among Internet users, since traveling to Cuba needs a great preparation. By reading the Meliá Cuba posts, you will be able to get lost among the streets of Havana and you would have hard to avoid thinking that a stay in its Cuban hotels is the best option. Do you want to have a blog as successful as the ones we showed today? The first step is to work on your Inbound Marketing strategy. Starting from who is your buyer-persona and going through the search of keywords. Inbound Marketing will help you to know your ideal audience interests and needs so they can found in their searches. If you have a blog you probably know how important it is and the power it has to attract customers.